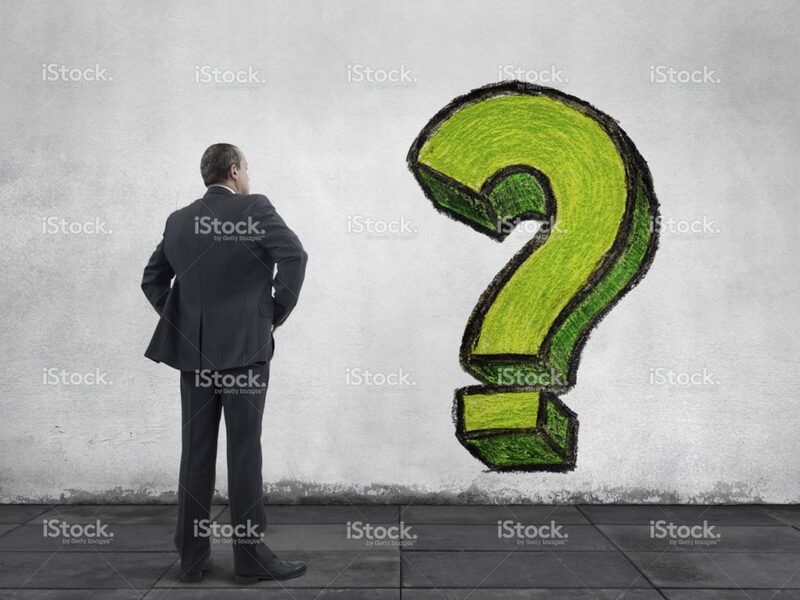 Rear view of businessman standing on sidewalk and looking at the hand drawn question mark painting on the wall. He is looking further, thinking, searching new ideas and way to exit. Note: “Question mark” hand drawn painting by mgkaya.